This is a sponsored post written by me on behalf of Mohawk Flooring Air.o Unified Soft Flooring (USF). All opinions are my own. 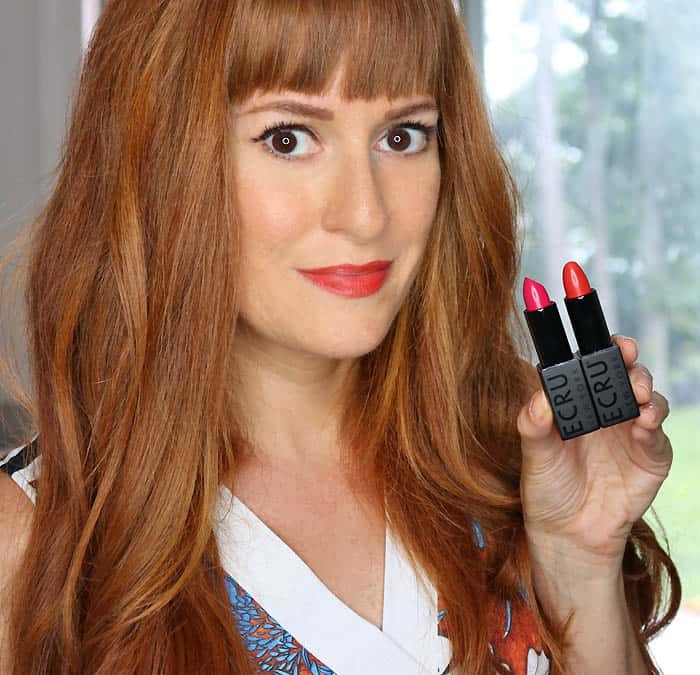 In recent years, many of us have started to re-evaluate the food, beauty and household products we use. We’ve been reading labels and questioning ingredients in an effort to live a more “green” lifestyle. It’s time to turn that attention on our home’s building products! According to the EPA, Americans spend over 90% of their time indoors. It’s so important that we think about our home’s building products! I had the chance to try out Mohawk Flooring’s new Air.o Unified Soft Flooring. 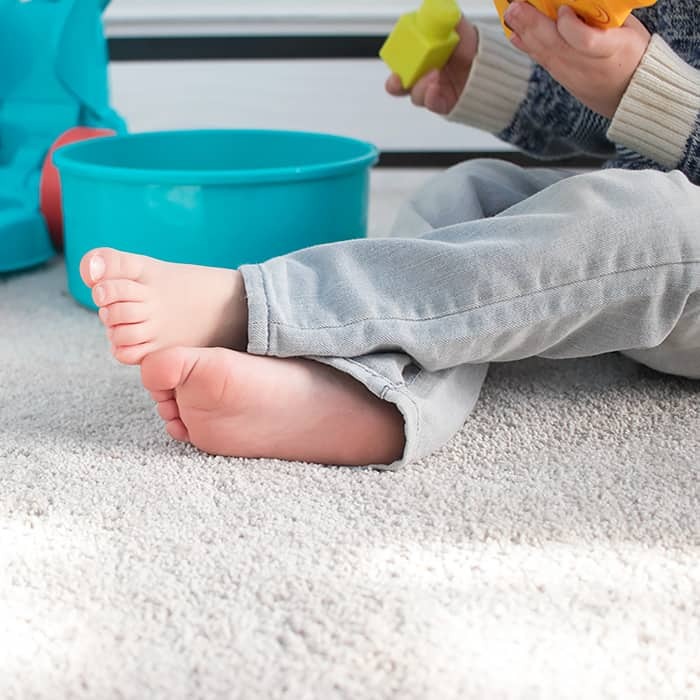 For people who are concerned about allergies, Air.o soft flooring is the perfect alternative to traditional carpet. I wanted to create a fun, “big boy” room for Indigo in the new house. Indigo loves to sit on the floor and play, so I hoped to find a plush flooring. We both have allergies, so I was looking for hypoallergenic carpet. Thankfully there’s a solution! Air.o Unified Soft Flooring is hypoallergenic. Mold, mildew and other allergens need moisture to grow and spread. 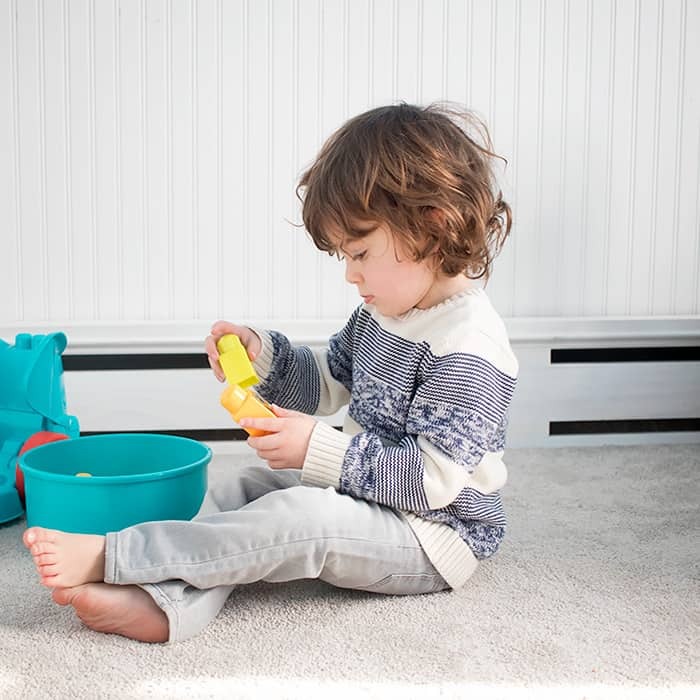 Air.o’s fibers and integrated cushion don’t absorb moisture making it dry faster and more completely after spills and cleaning. 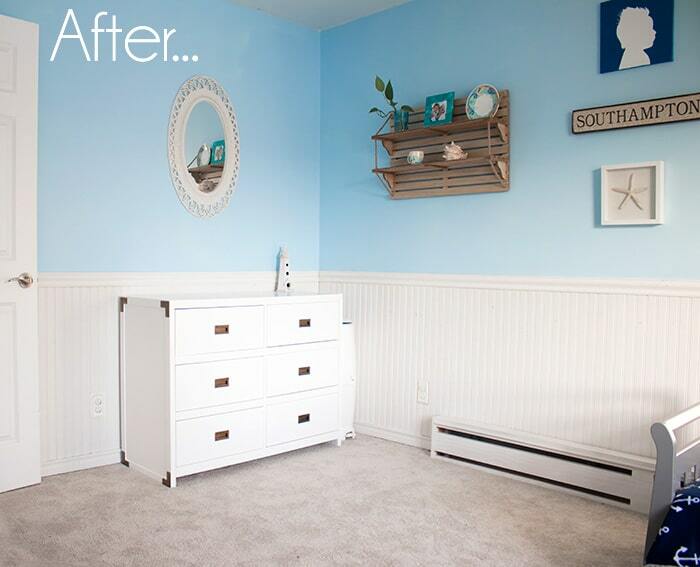 I wanted to do a total refresh for Indigo’s room, which included putting up beadboard. 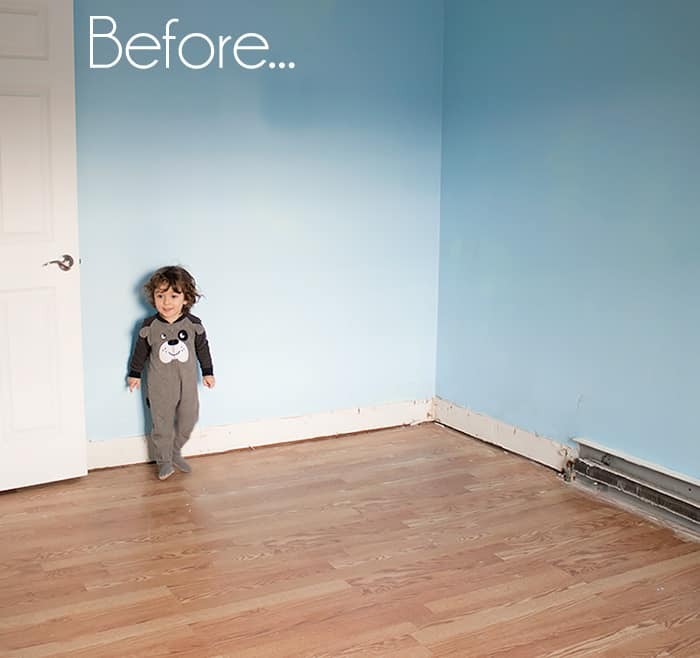 Before the flooring installers arrived, I removed the baseboards and radiator covers. The original flooring may look like hardwood in the picture, but it was actually an inexpensive, laminate installed by the previous residents. It wasn’t installed properly so it swelled in the humidity creating bumps. Removing the laminate flooring had been on my “to do” list for months so when the installers at We’ll Floor U told me that they would have to remove it I could barely hide my excitement! This is my first home and I’ve never had flooring installed so I didn’t know what to expect. The process was so fast and easy!!! I cleared a whole afternoon expecting the install take that long. I was shocked that it took a little over an hour (including ripping up the laminate flooring)! 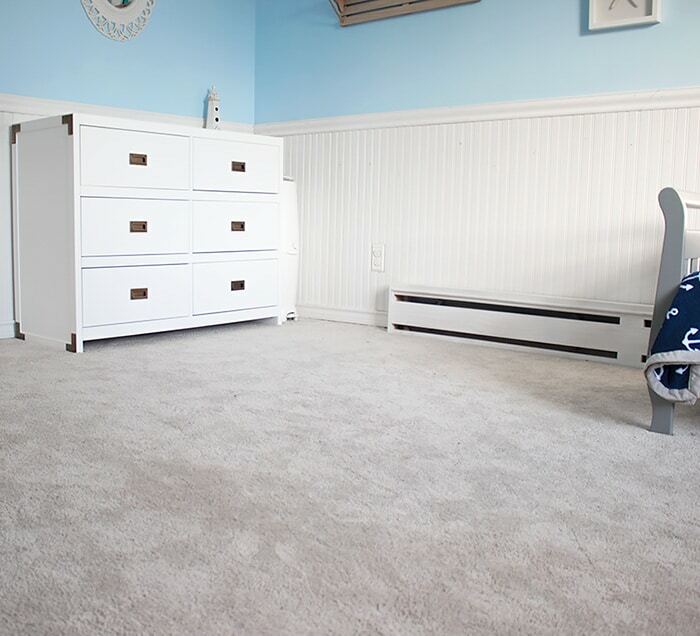 The soft flooring not only looks great, it’s so comfortable! It’s plush and it feels great under your feet. 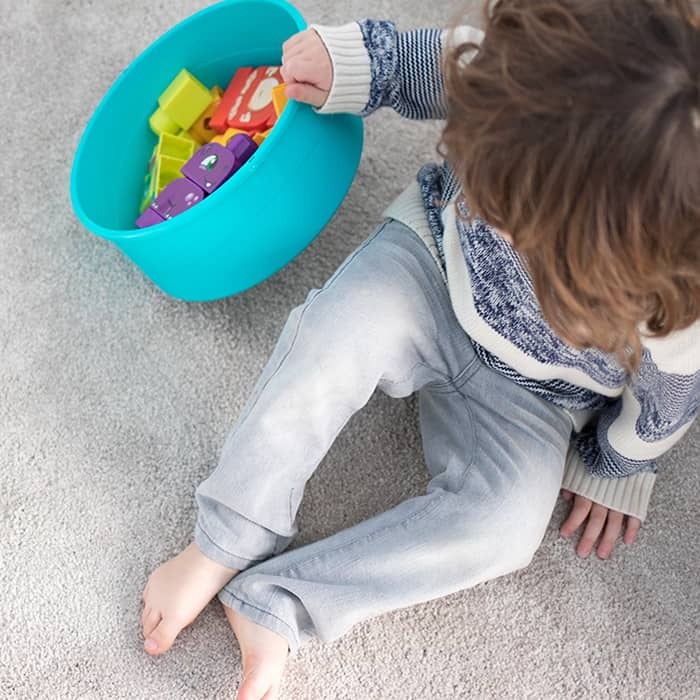 Unlike carpeting, Air.o soft flooring is latex, odor and VOC-free. There’s no “new flooring smell”. 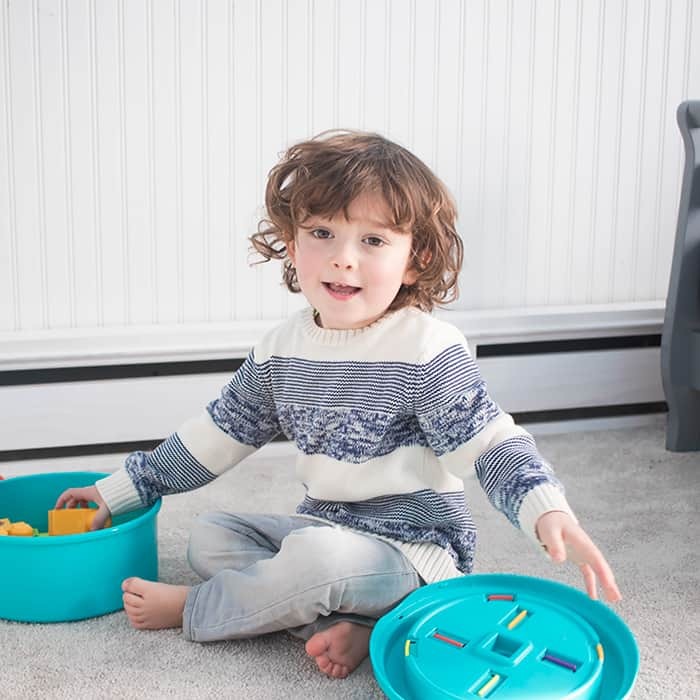 Because of the way Air.o is uniquely constructed, more air flows through, meaning it’s easier for dirt, dust and other allergens to be released from the floor when vacuuming. It just feels so much cleaner. Indigo absolutely loved his new flooring! He ran over and sat on it as soon as the installers left. He kept running his hands across it and saying “nice”. Best of all, the soft flooring hasn’t triggered our allergies at all. Finally, Air.o soft flooring is 100% recyclable. 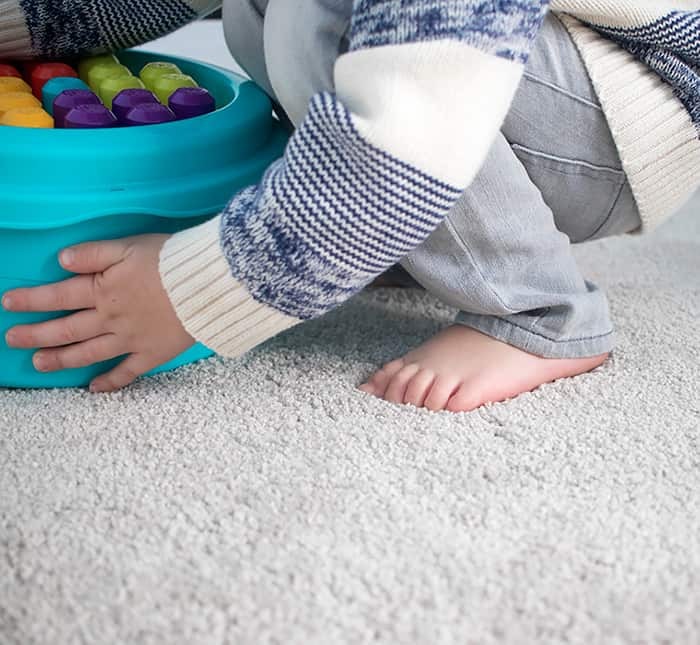 Did you know that traditional carpets take up the second largest amount of US landfill space. Crazy, right? I never would have guessed! Air.o is not only better for your home, it’s better for the planet! Want a chance to win your own Air.o flooring? Visit the Mohawk website to enter for a chance to win $1,000 towards Air.o flooring in your home! What steps have you taken to make your home more “green”? I’d love to hear! He looks so happy! What color of the carpet did you choose? It looks really nice! Thank you! The color I chose is Nouveau. It looks even better in person and my little guy loves it!